Lessons from a flood group – Thoughts from Hebden Bridge Flood Group. 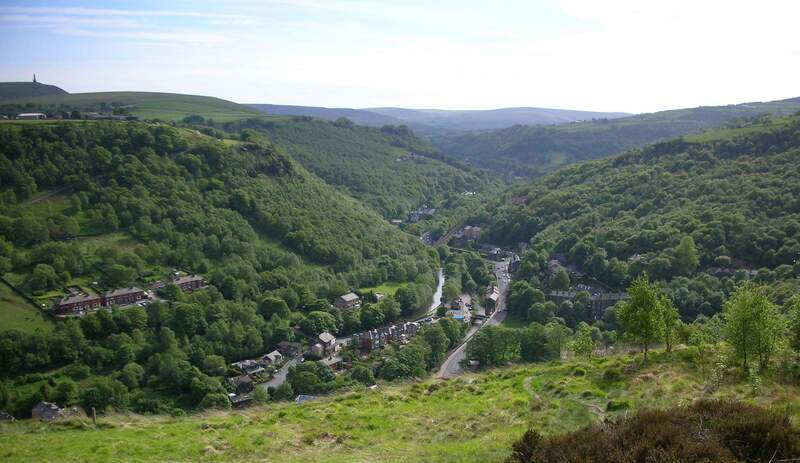 UK Flood Defence AllianceLessons from a flood group – Thoughts from Hebden Bridge Flood Group. Hebden Bridge is in the Calder Valley. Rain runs down the steep sides of the valley, gains momentum and then hits the town centre. Homes and businesses have been flooded many times. As a consequence, they have organised into an active Flood Volunteer group to deal with a very real threat of further flooding. We have spoken to Andrew Entwistle, the Flood Warden at Hebden Bridge to capture what he believes are the challenges and lessons for other flood groups. In essence it boils down to Relationships, Equipment and Enthusiasm, but please read on for more details. Building relationships with key groups is essential. Seize every opportunity to liaise with other flood groups. Working together and trading experiences is good for learning, but it also helps to maintain the energy and enthusiasm of the flood volunteers. By speaking regularly, the wardens up and down the Calder Valley have developed trusting relationships. This means when they get an alert from the Environment Agency and the ‘action’ starts, they trade information, get a sense of the scale and timing of the water and are able to respond more effectively. The Hebden Bridge flood volunteers seize opportunities to get out and chat to local residents. Over time, it has built trust and the Flood Wardens have become a ‘first point of contact’ with local residents for flooding matters. It means that when a flooding situation occurs local residents know their flood team and trust that they will be in action to minimise damage. Having the right equipment to help meet your particular local issues is crucial. For Hebden Bridge their issue is flash flooding and their two key pieces of equipment are personal radios and Flexible Flood Blocks. For other groups their pressure points might be different, so understanding your local needs is key. In the Calder Valley mobile phone reception is patchy and in the 2015 Boxing Day floods the whole communication system collapsed leaving individual flood volunteers isolated. The team have invested in personal radios which enable the team to co-ordinate their efforts. The radios link to a central communication hub, which is manned by the council and which can also link to local cctv cameras. Key information can be relayed, enabling priorities to be identified quickly and a speedier response is the result. It also gives individual flood volunteers more security and back up for difficult situations. The system also links to the Blue Light Services so help can be called on when needed. Hebden Bridge volunteers primarily tackle flash flooding, so speed is of the essence to avoid damage to the town centre, which can be considerable. The volunteers have found that using Flexible Flood Defence Blocks instead of sandbags gives them a real advantage. The blocks are collected from flood stores at key locations along the valley, thrown into the back of vans and then taken to where they are needed. The blocks are easier to carry than sandbags and don’t need filling with sand, so local residents can get involved easily and they are much quicker to get into position. They use the blocks as a barrier to divert the water to where it’s safe, so avoiding damage to houses and businesses. A great difficulty is that as time moves on from a major flood event, people start to become complacent and generally enthusiasm wanes. 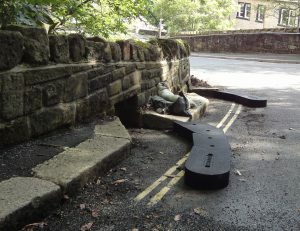 However, when flooding happens in Hebden Bridge, it happens quickly and so everyone has to be prepared. The leadership of the Flood Groups have to combat this complacency anyway that they can; by arranging meetings and training events for volunteers and by seizing opportunities to be visible in the local community. This visibility is important for recruiting people into the team. Ensuring good initial training and a supportive ‘buddy’ help people to become effective quickly. Every flood group will face some common problems and some that are specific to their own area. Taking opportunities to learn from other groups can be so useful. Andrew Entwistle can be contacted via The Hebden Bridge Flood Volunteers for advice. So check out whether you have a Flood Volunteer group in your area and get in touch with them to either volunteer or let them know your experience of flooding, so they can be ready to help you if you need them. If you don’t have a Flood Volunteer group and you’d like to start one or just help, then talk to the person responsible for flood response at the County Council. 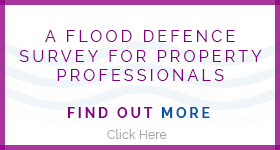 Find out more about Flexible Flood Blocks.